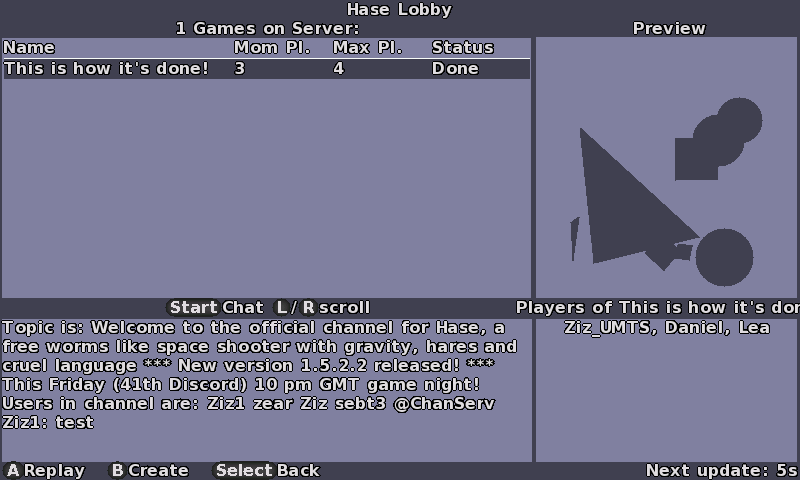 Hase is a game about hares in space. It is a bit like Worms or Artillery, but with gravitation. 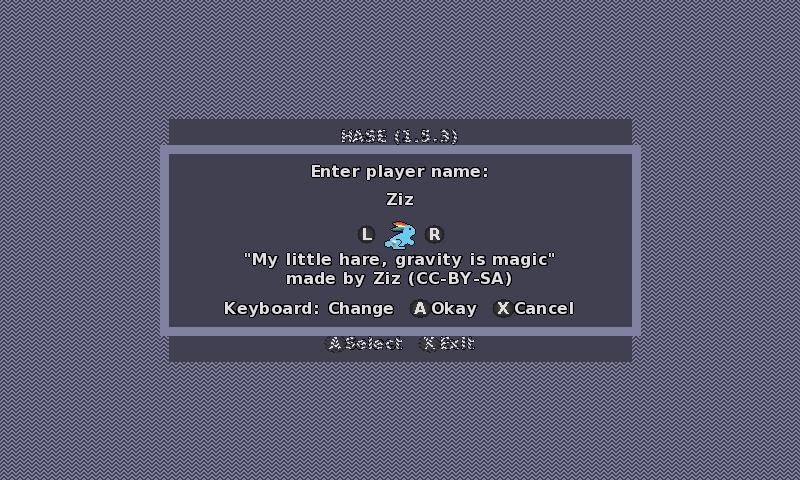 The game itself is licsensed under GPLv2+. - Asking the server to give gzip compressed data. Saved up to 98% of data bandwidth. 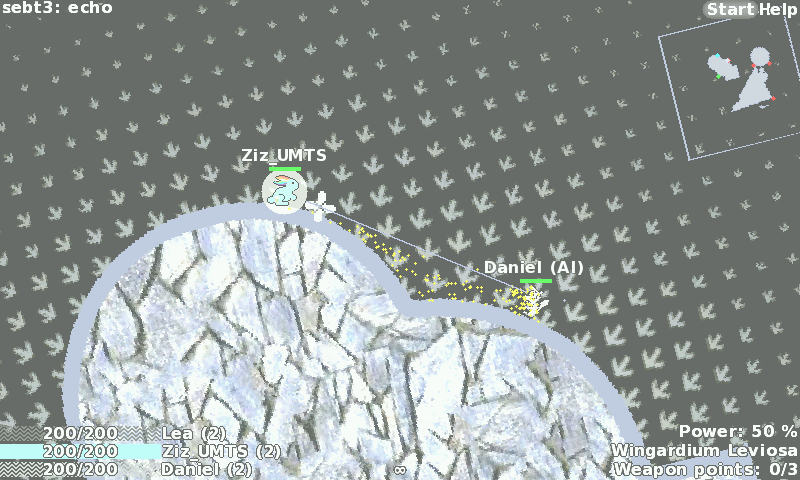 - Tomato sprites instead of "Weapon points"
- If the game master leaves the game, the game is not deleted from the game list, except (s)he want it. 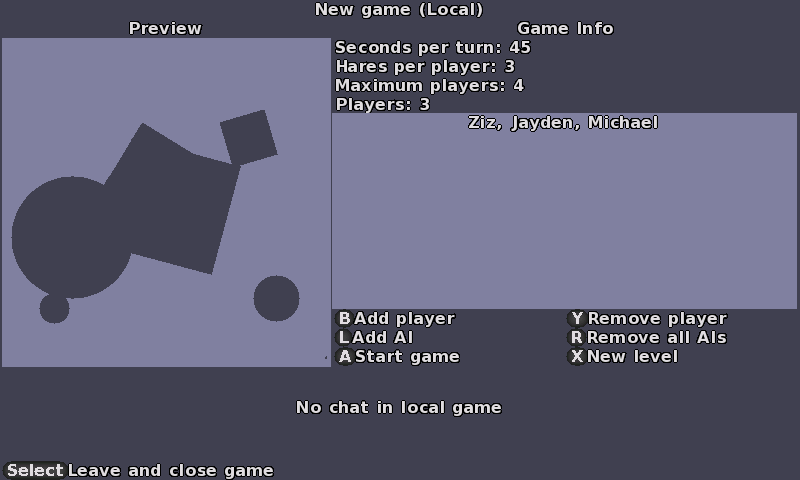 - You can even spectate already started, but not yet finished games! 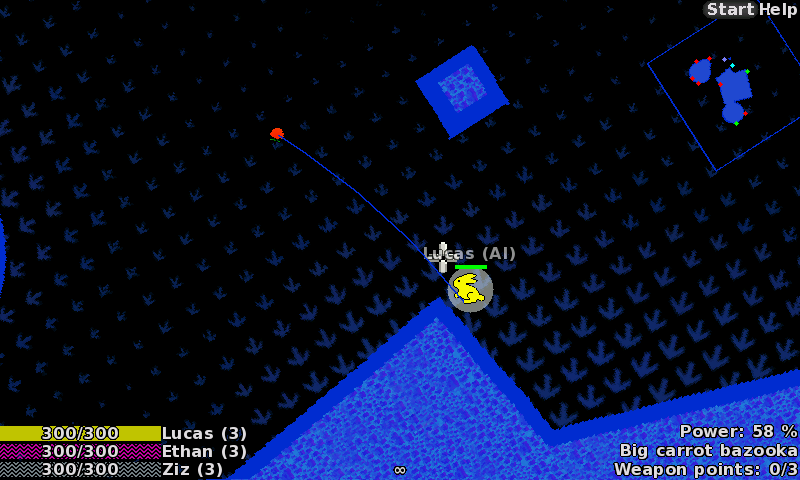 I would like to see some more "organic" looking "asteroids" for the hases to fight on, maybe using perlin noise. But it's a great game already, 5 stars, and thanks for putting-in button mapping! urrently proceding, hase could well become one of the pandora's best native games. Works nicely, funny insults etc, and most importantly; is much much fun! 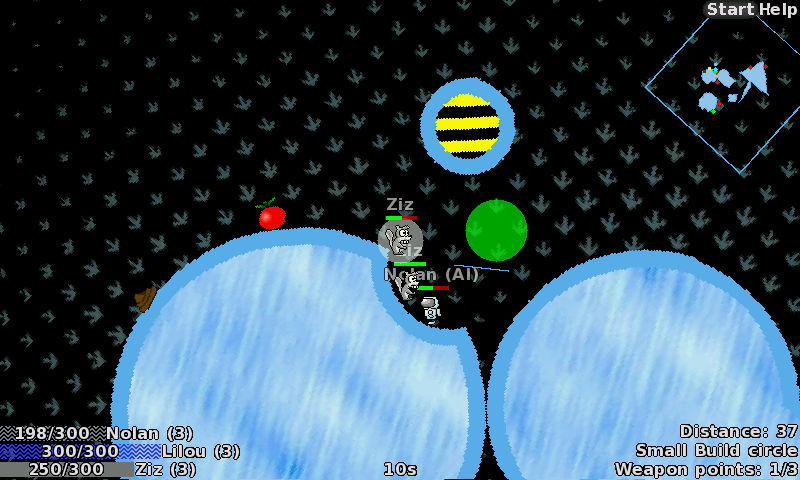 Love it :D.
pretty good but needs many gameplay adjustments to be as good as something like Worms.